Most people are busy with their work during weekdays and barely have time for exercise. But when the weekend comes, hiking enthusiasts just can’t wait to rush out of the door and head for a good mountain trail. 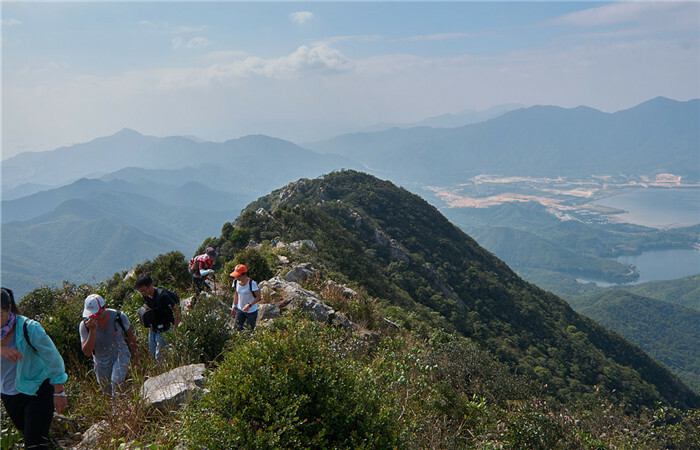 Shenzhen, though a modern metropolis, is home to some mountains worth trekking. 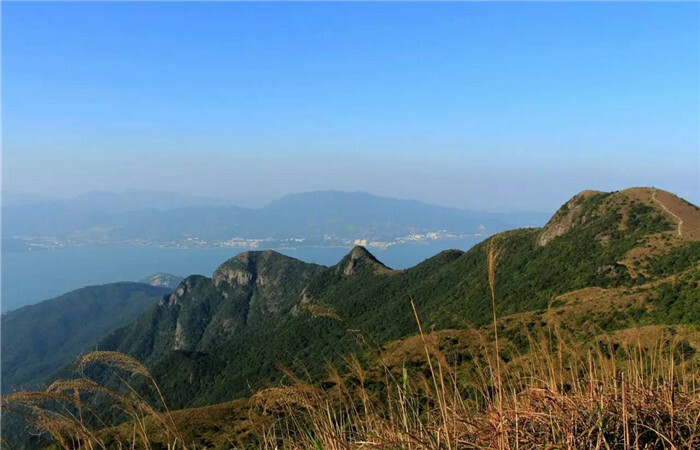 In this article, EyeShenzhen lists out eight mountains that cannot be missed just a stone’s throw from where we live and work. 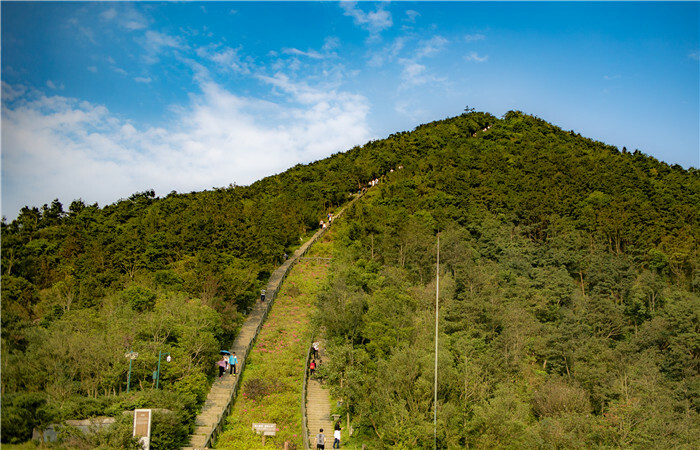 At just over 900 meters tall, Wutong Mountain is the tallest mountain in Shenzhen, making it a mecca for hikers and climbers. Located in east Shenzhen, it spans three districts including Luohu, Yantian and Longgang. The mountain has been a recognized beauty spot since at least the Ming Dynasty (1368-1644) when it was included in the Eight Great Views of Xin’an County and was celebrated in poetry. There are several routes to the top, each of which vary significantly in terms of difficulty. Its broad road makes for a gentle climb, but takes a good five hours if you intend to go to the top and back. There are two peaks, Lesser Wutong (where the Shenzhen TV company has its handsome transmission tower), and Greater Wutong, which can be reached via the notoriously difficult Hao Han Slope. On a clear day, the views from the summit over Dapeng Bay and the mountains of Hong Kong’s New Territories are indescribably beautiful. Nighttime views over the city set against the sweep of Shenzhen Bay are also quite charming. 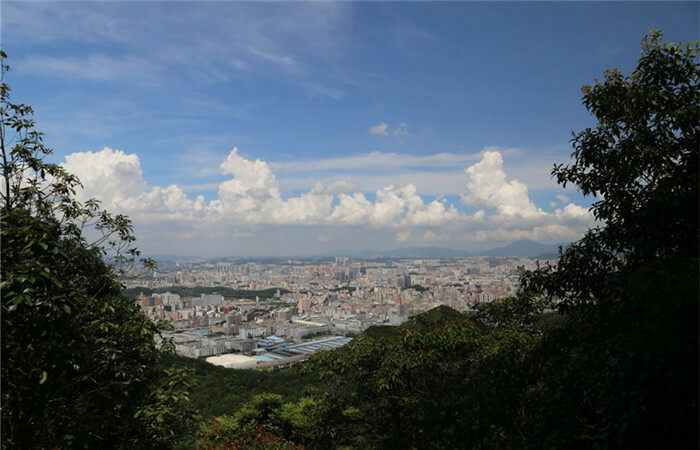 Though not the tallest mountain in Shenzhen, Qiniang Mountain is definitely the most dangerous mountain in the city. Located in Nan’ao Town of Dapeng New Area, Qiniang Mountain is the main peak of Dapeng Peninsula. 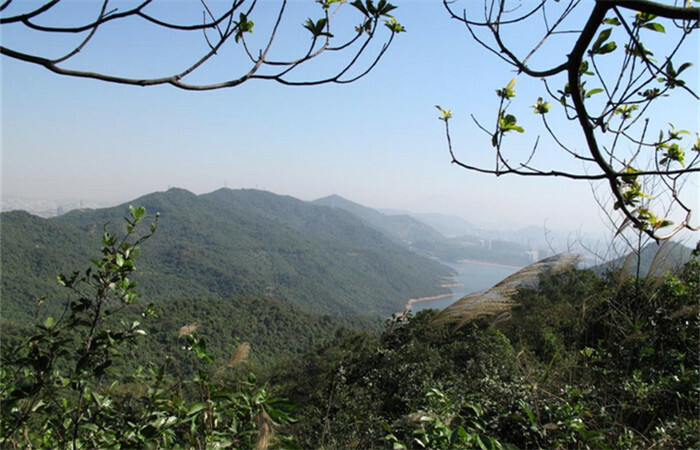 At 869 meters above sea level, it is the second-tallest mountain in Shenzhen after Wutong Mountain. It is located within the Dapeng National Geopark. The mountain has well-preserved flora characteristic of a subtropical monsoon rainforest. The climbing massifs are in picturesque disorder with various strikingly outstanding peaks, exotic stones and grottoes. Dense forest and abundant wild animal life add radiance and beauty to each other. 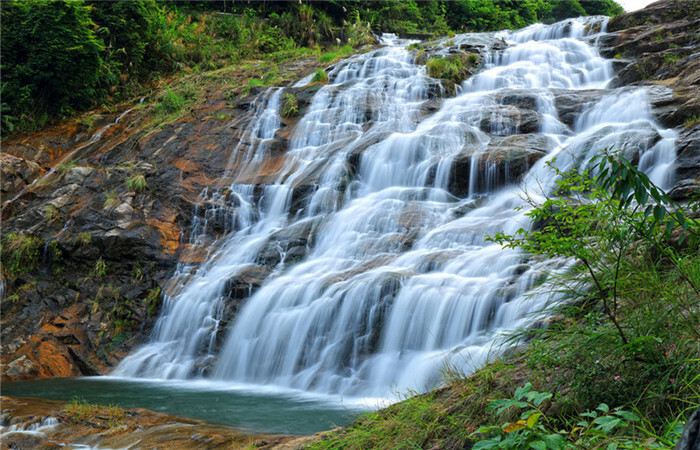 With high peaks, deep valleys and curvy brooks, Qiniang Mountain is home to several waterfalls. Thanks to its nice view and steep mountain route, more and more hikers are lured here. Located at the intersection of Bao’an, Nanshan and Longhua districts, Yangtai Mountain stands at an altitude of 587 meters. It’s the tallest peak in northwest Shenzhen. 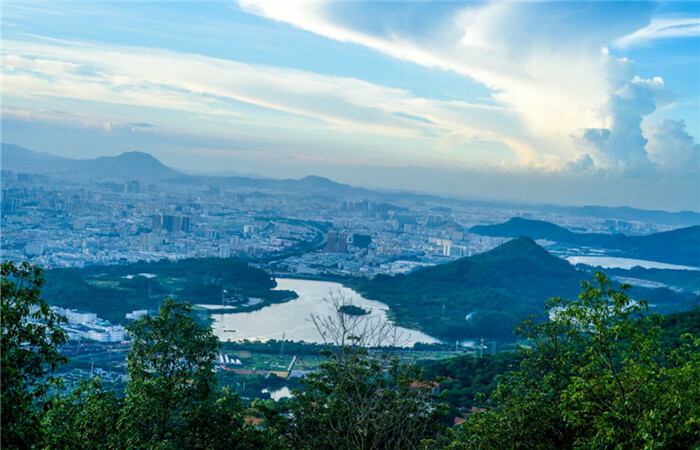 In 2008 the mountain was rated one of the eight scenic spots of Shenzhen by the Shenzhen government. There are many charming cultural and natural landscapes on the mountain. Among them, the Yangtai Mountain Waterfall is a must-see. With over ten reservoirs spreading out around the base of the mountain, it’s also an important source of much of the city’s drinking water. When the rainy season comes, the lush green valley becomes particularly beautiful with the floating mist veiling the mountain, which adds a mysterious touch to it. Phoenix Mountain, at an altitude of 376 meters, is regarded a top mountain in Bao’an District. This mountain has a crescent shape to it, resembling a half moon inlaid on the shore of the sea to the west. 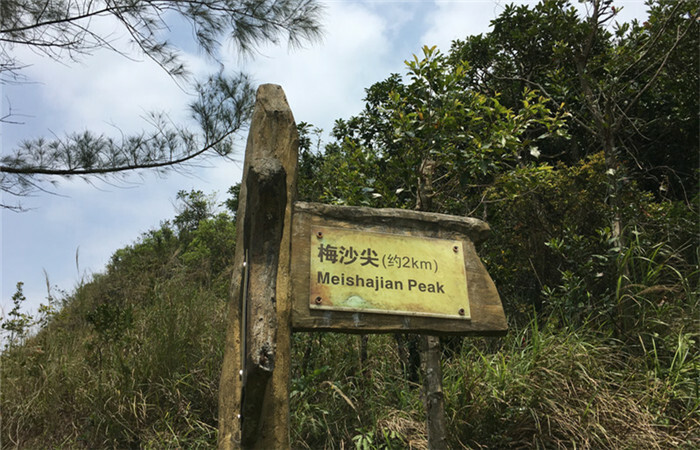 The mountain belongs to Shenzhen Phoenix Mountain Forest Park, which is one of the eight major forest parks to be built in the city. The goal is to build it into an attractive suburban forest park.